Wakanda has been conquered, its Vibranium reserves plundered. Storm faces execution in the next 48 hours. And Dr. Doom stands triumphant. It will take the combined forces of the X-Men, the Fantastic Four and the two Black Panthers to stand against him. A war has begun that will pit the world’s most relentless super-villain against a collection of the world’s most powerful super heroes — one that will span the globe, offering twists and turns and surprise players (hello, Deadpool!) that neither side will see coming. Do Not read the summary unless you want to be spoiled! The desturi have taken hold of the governance of Wakanda and placed the queen Storm of the X-men on trail. Every major news network is covering the story as T’challa and the princess Shuri have both disappeared. Storm is defiant to the end and refuses to acknowledge their trial as anything but a mockery. Knowing they cant break her will they sentence her to death and expel all outsiders including the press from Wakanda. Supporters of the desturi question the new leader believing he has had outside help to commandeer the throne. Doom watches all this from the vibranium vault as he tries to break the lock and gather all the vibranium contained inside. He breaks the magical lock and sacrifices some of his foot soldiers. He warns the remaining technician to not disappoint him. 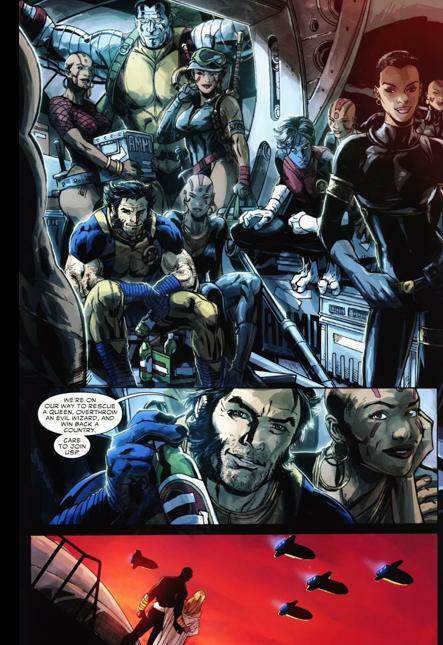 On Utopia home of the mutant race, the X-men watch the news in a very somber mood. They wonder where is Tchalla and how he can allow what is happening to take place in his kingdom. They are very concerned about Storm and her well-being. 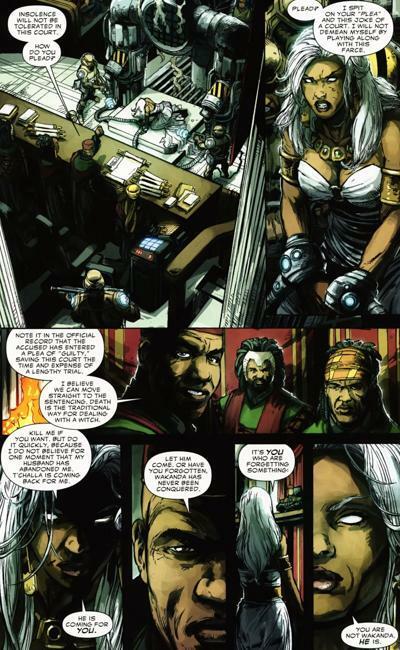 As the meeting gets heated T’challa and Shuri arrive to get help from the x-men in rescuing Storm. Back in wakanda Storm is locked in a power negating room as she awaits her execution. Scott and T’challa and shuri continue to discuss what will be done to save storm and the question of their own innocence to crimes they have purportedly committed. Elsewhere Dooms army stands ready for battle. Tchalla reveals to the x-men what has taken place in his country and why storm was originally left their. Nanites turned the whole populace into walking cameras who if tampered with self destructed, this coupled with the desturi infiltration of all walks of life in wakanda put Tchalla and Shuri in a precarious position. He also reveals that Vibranium can also enhance magical powers exponentially and that’s why doom is there to get enough vibranium to make him the most powerful being on earth. Back in wakanda storm frees herself from her prison by picking the lock, she walks straight into doom, who has plans for her. On Utopia Scott gives his finale answer he cant sanction Utopia to assist Tchalla and shuri as he can’t risk the lives of the remaining mutant race for one person. Tchalla understands as he also chose his people over storm. Both share a moment of mutual respect and understanding. Scott tells Tchalla that some of the x-men will accompany him anyway since he can’t stop them. Scott and Emma wave goodbye to Psylocke, Wolverine, nightcrawler and colossus as they join Tchalla to save their friend. Doom takes Storm to the vault and tells her to open the lock or he will kill her servants, the queen and everyone she has known, to prove his point he kills a servant right off the bat to let her know he does not bluff. The queen Mother pleads for her not to but Storm being storm she assists to cease bloodshed. On the plane to wakanda the team gets a run down with how they can take back wakanda. T’challa wants no bloodshed but Shuri tells him she will do anything to take back her country even if it means killing. The desturi learn that the people of wakanda are protesting to the overthrow of their royals. He knows they would and plans to discipline them the next day. They get alerted to Tchalla’s quinjet landing in wakanda he orders the army their to engage them. Storm continues picking the lock as Doom grows impatient and orders the queens death, her brother-in-law, S’yan interrupts and gets killed instead. Doom demands storm not play games with him and tells her next time the queen is dead. Storm breaks one of the locks. One more remains for doom to have his prize. Man? what can be said? The re-launch of black panther finally gets handled. Everything since Vol 5 started has led to this! Personalities shine future conflicts are shown, battle lines are drawn and the war has begun. Highlights include the difference between T’challa and Shuri in their approach to war and winning back their nation. 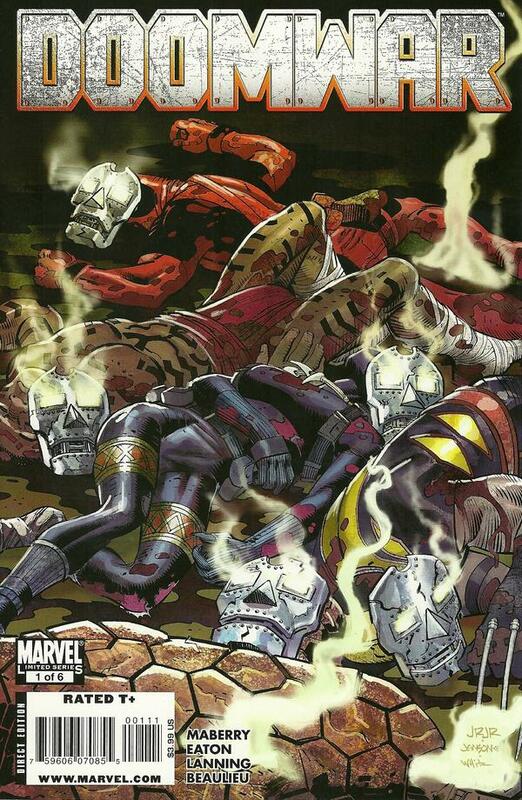 It’s also noteworthy that the Adored ones/Dora who have been trained by T’challa throughout the last Black Panther series become the backbone of the resistance to thwart Doom. Storm stole the issue for me as she shows why she is different from Scott and T’challa. Storm has always led with her heart, refusing to lose a single person no matter the greater good, for her there is always another way. She came off regal, badass and very much a queen/goddess. I also loved the parallels between Scott and T’challa both leaders and rulers of their respective people, both understanding that the whole is more important than any one individual. Doom….man….Doom, he came off evil and diabolical but brilliant and cunning and all around a worthy foil to the brilliant T’challa. Doom, you have moved up on my evil villains list definitely. Artwork fit the story well, I never had to scratch my head or wonder what was going on and that is good especially when things are as engaging as this. Solid 5/5 stars, you should be reading this, don’t have it? Run out and get it, it’s that damn good!